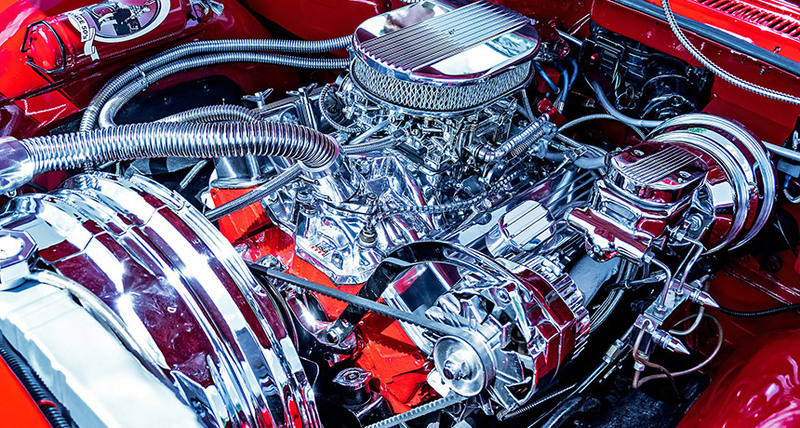 POWER UP Heat engines, like this car engine, transform heat into other forms of energy. A new quantum heat engine can generate more power than classical counterparts. The device is a type of engine called a heat engine. Traditional heat engines turn heat into motion. For example, a car’s internal combustion engine burns fuel to move pistons up and down, resulting in the car moving forward. Other heat engines have boasted power increases. But those machines relied on tweaks to the environment outside the main machine — for example, the machine’s heat source may have been imbued with beneficial properties — so the extra power wasn’t entirely a feature of the machine itself. In the new study, the quantum engine works not by igniting gasoline, but by using a laser to cause an electron within a tiny defect of a diamond crystal to jump between energy levels. And instead of moving pistons, the quantum machine outputs its power in electromagnetic waves. Here’s where the quantum part comes in: Objects that behave according to quantum mechanics are sometimes found in a limbo known as superposition, meaning they’re caught in two places at once, or in two different configurations. The electron in the quantum engine can be in a superposition of two energy levels. It’s as if a car engine’s piston was simultaneously in the up and down positions. Under certain conditions, that property, the scientists report, results in increased power output as compared with the maximum power possible with a traditional heat engine. “This is the first experiment where this kind of regime was reached,” says physicist Roberto Serra of the Federal University of ABC in Santo André, Brazil. But the researchers “don't have a complete characterization of the quantum engine,” Serra says. The team estimated the engine’s output power, but not other qualities, such as efficiency. So future experiments should further investigate this type of machine, he says. The quantum power boost shows up only when the engine is operated extremely gently, like a car engine in which the pistons move only slightly during each cycle. That means the quantum machine doesn’t blow all possible competitors out of the water, only those that are also operated in this gentle state — which most aren’t. So don’t expect these quantum engines to be powering vehicles or devices anytime soon. “If you’re trying to build a car or a jet engine … it’s absolutely useless,” says physicist Ian Walmsley of Imperial College London, a coauthor of the study. Instead, the study reveals new details of how quantum mechanics meshes with thermodynamics, the theory that governs heat, temperature and energy (SN: 3/19/16, p. 18). In this case, the new engine reveals a loophole to normal limits on power generation. “We haven’t changed the structure of thermodynamics, but we’ve unlocked a new piece of it,” Walmsley says.